(CN) – Much of the post-midterm election analysis has focused on the Midwest states like Michigan, Wisconsin, Pennsylvania and Ohio, which were once reliably Democratic but broke for President Donald Trump and cost Democrats the White House in 2016. Two years later, however, and many congressional districts there saw a blue wave that swept at least 37 Democrats into the U.S. House of Representatives – many from the suburbs. Trends in the American West – particularly the Sun Belt – also favor the Democrats, not just in 2018 but in 2020 and beyond. The midterms put Nevada, once a competitive swing state that goes red just as often if not more often than blue, thoroughly in Democratic hands. 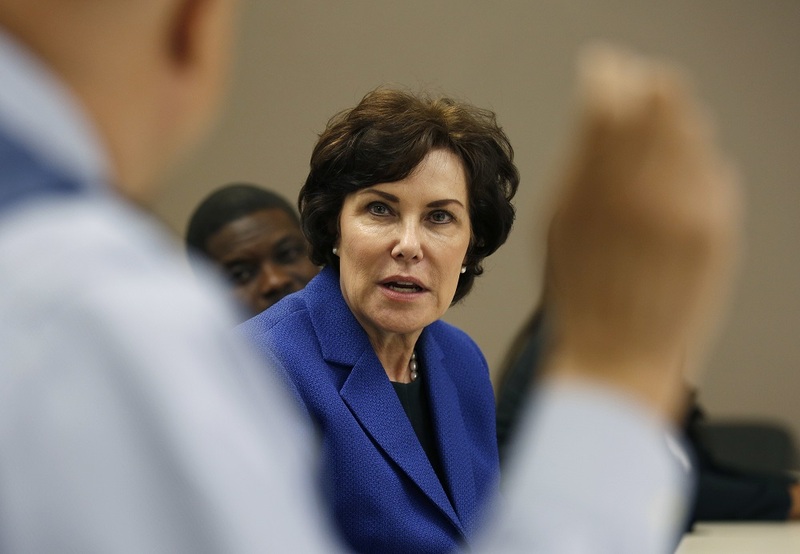 Not only did Democrat Jacky Rosen beat Republican incumbent Dean Heller in the closely watched U.S. Senate race, but the governorship and a hotly contested Congressional seat went blue as well. When Democrat Catherine Cortez Masto won her election in 2016, she did so by carrying only one county – Clark, where Las Vegas is the county seat. Democrats typically try to break even in Washoe County, home to the city of Reno, where Republicans hold a registration advantage. They then hope they carry Clark County by a margin wide enough to win. But in 2018, Democrats not only carried Clark County by a large margin but won Washoe County as well, obliterating the nearly 80-20 advantage Republicans enjoy in the rural counties. But John Hudak, a Brookings fellow, said one can’t underestimate how much Trump has hurt the GOP brand in Nevada in particular. In 2012, after a smarting defeat to Barack Obama, the GOP recommended doing more to lure Latinos, many of whom are Catholic and socially conservative, into the party along with appealing more broadly to minority and women. Instead, Trump has doubled down on the politics of white grievance and used racially tinged anti-immigrant rhetoric in his closing argument for the midterms. Arizona is a reliably red state in the American West, churning out Republican senators like John McCain and Jeff Flake. It’s why Kyrsten Sinema’s victory over Martha McSally, in the race to replace the retiring Flake, sent shockwaves through the state’s GOP party apparatus. Several operatives dismiss Sinema’s win as a one-off attributable to her polish and ability to campaign. But many election watchers say Trump hurt the GOP’s chances in Arizona, pointing to Ann Kirkpatrick’s decisive victory over Republican incumbent Lea Marquez Peterson in the state’s 1st Congressional District. While Gov. Doug Ducey, a Republican, managed to keep his office – indicating Arizona isn’t quite as susceptible to the blue wave as Nevada – changing demographics in the state have many Democratic activists predicting Sinema is the harbinger of things to come. “While Kyrsten Sinema focused on talking to suburban voters, we were talking and registering voters in markets, parking lots, in the neighborhoods in South, West, and Central Phoenix where poor people of color – from where most of our members, organizers and young leaders come from,” the organization Living United for Change in Arizona (LUCHA) tweeted recently. LUCHA, the Arizona Center for Empowerment and others made registering Latinos and getting them to the polls a majority priority for the election cycle. It seemed to pay off. The politics Trump has espoused in both recent election cycles have steered the growing population of Latinos in the American West away from the GOP, while disgusting suburban and educated voters. And while rural America has so far remained loyal to the president, it remains unclear whether their support will be enough as the country moves forward to 2020.